With a name like Kick Axe there can be no mistake about the kind of music they make. It's heavy metal all right, complete with all the requisite axe work and a special kick that sets this hot new group apart from the crowd. It all began in Regina, Saskatchewan, hometown of the four Canadians. In a tough street fighting neighborhood, Larry Gillstrom and Victor Langen pioneered their group in 1976. As Victor remembers it, "There was real pressure to join a gang. But if you were in a rock 'n roll band, you were instantly accepted. So we wound up performing at the gang's parties." For inspiration, the two fledgling rockers were devoted to the big British bands: Pink Floyd, Led Zeppelin and The Who. But their own musical identity quickly evolved as they began writing many of their own songs and took to the local club circuit. On the road they met Ray Harvey, an axeman whose style complemented Larry's bluesy approach. Shortly after, Larry's brother Brian, joined the group's rhythm section - Kick Axe was nearly complete. All they needed was a crackerjack lead singer to give focus to their harmonizing voices (all the guys in this band sing!). Enter a hot-shot singer from Milwaukee, Wisconsin, U.S.A., George Criston. In short order they attracted big audiences - and some nights, out there in the seats, they'd recognize some of the really big heavy metal guys: Iron Maiden, Def Leppard and Judas Priest! They knew they were destined for a record contract, but they didn't spend any lazy days sitting around waiting for it to happen. Says Larry, "We just kept on writing more songs. 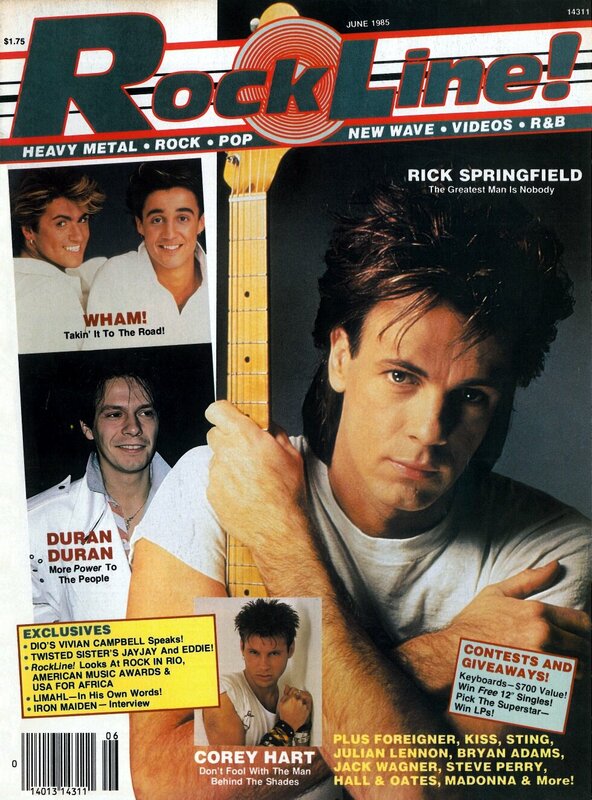 Even when our truck blew up on the road, we holed ourselves up in the hotel room and started writing more tunes." 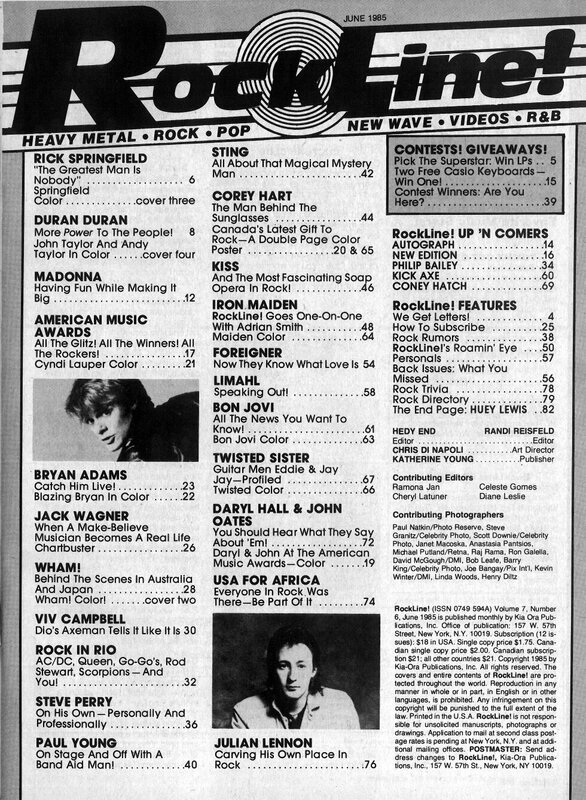 And soon that contract materialized, thanks to a producer named Spencer Proffer, who helped Quiet Riot attain rock stardom. 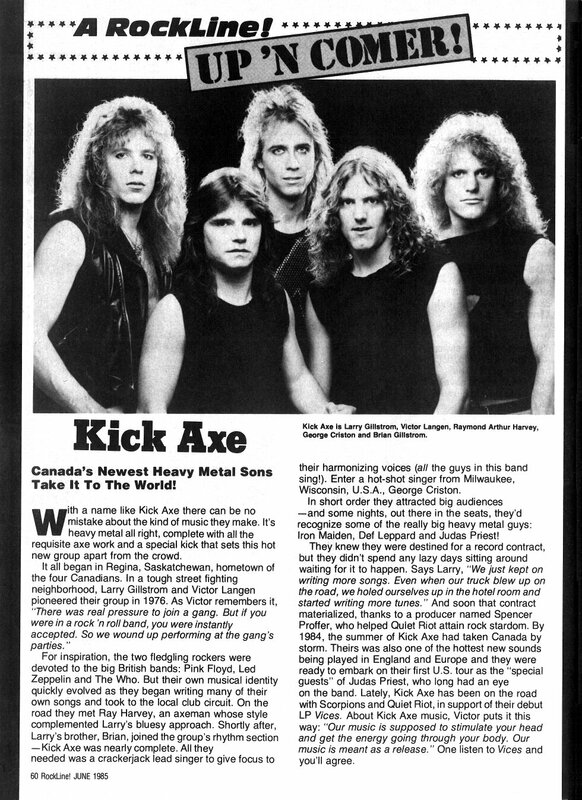 By 1984, the summer of Kick Axe had taken Canada by storm. Theirs was also one of the hottest new sounds being played in England and Europe and they were ready to embark on their first U.S. tour as the "special guests" of Judas Priest, who long had an eye on the band. Lately, Kick Axe has been on the road with Scorpions and Quiet Riot, in support of their debut LP Vices. About Kick Axe music, Victor puts it this way: "Our music is supposed to stimulate your head and get the energy going through your body. Our music is meant as a release." One listen to Vices and you'll agree.